4th July – Independence day of United States of America. 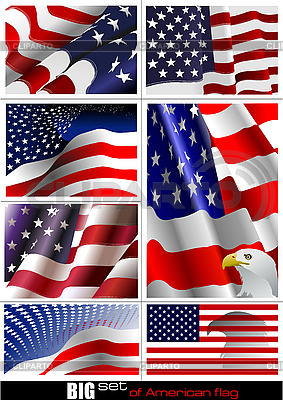 Big set of American flags. Vector illustrations.